As North America’s leading ski resort, it’s perhaps not surprising that Whistler is regarded as Canada’s ultimate winter wonderland. With the resort’s winter season running from November 22nd until May 2019, thousands of skiers and snowboarders from around the world will make the journey in search of an epic adventure in British Columbia. While Whistler is great to visit at any time of year, there’s something particularly magical about Christmas. Expect Christmas card scenes, ample snowfall, sparkling lights, and an abundance of festive fun. Here’s our guide to Christmas in Whistler. The Whistler Public Library Orphan’s Christmas Party returns for 2018 and is perfect for those spending their first Christmas away from home. Mix and mingle as you compete in a gingerbread house decorating contest, dance to Christmas tunes and enjoy a special screening of a festive classic. Registration is required for the contest starting at 6pm, or alternatively just turn up for the start of the film at 7pm. What better way to bring Christmas to the slopes than with the traditional Dress Like Santa Day?! The first 100 people to arrive at the Garibaldi Lift Company dressed in full Santa or Mrs. Claus attire will enjoy a free lift ticket too. Upload starts at 8.00am. Head to Whistler Olympic Plaza each Monday and Wednesday between December and March to enjoy Family Apres; free kid-friendly activities and entertainment put on by the Resort Municipality of Whistler and the Province of BC. It’s family fun, the Canadian way. The Whistler Holiday Experience is the perfect way for the kids to let off some steam while parents sip a hot cocoa or coffee. Kids can choose from a number of indoor and outdoor activities including a mini putt course, bouncy castles, crafts and video games – all free of charge during the holiday break (excluding December 25th and 31st). 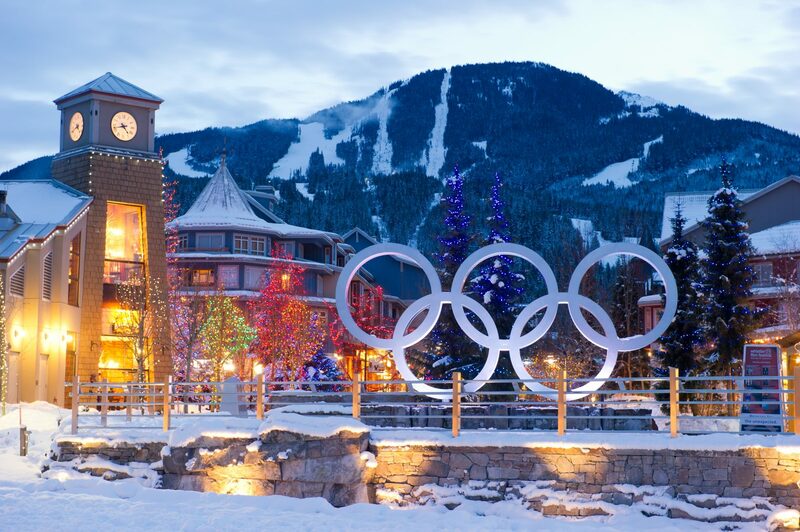 The experience takes place between 3-6pm at the Whistler Olympic Plaza. The 35th annual Christmas Eve Carol Service will take place at the Westin Resort & Spa, hosted by the Whistler Children’s Chorus and Whistler Singers. Comprising a selection of traditional carols, choral music and readings by community members, the service is sure to get you in the mood for the big day ahead. Entry is by donation. New Year’s Eve in Whistler is special for many reasons. 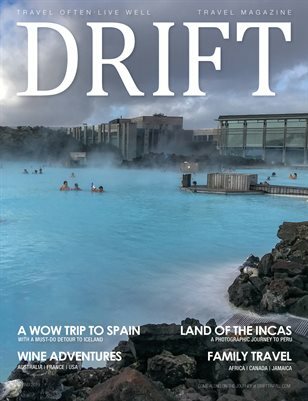 While the bars and pubs cater for those wanting to party their way to midnight, the strolls and plazas cater for families in a big way putting on six hours of fun including entertainment, music, crafts, games, and a Fire & Ice Show. Be sure to hit the ski hill early on New Year’s Day to enjoy the freshest powder before the crowds surface from their sleepy post-party haze! Whistler has long been regarded as a culinary beacon in British Columbia, and you’ll have a whopping 100 dining options from which to choose. While a roast turkey dinner is the traditional Canadian festive feast, there are plenty of alternative options for the big day. For those that love a classic roast, Hunter Gather offers three serving times on the big day, while 21 Steps and Basalt are also great choices for a turkey meal with all the trimmings. For a break from the festive feast norm, head to SIDECUT where the culinary team are putting on a fusion of favourites with a signature twist. A special Christmas brunch is served at The Grill and Vine, while Whistler Cooks will bring your Christmas dinner right to your room. Finally, you could always cook your Christmas dinner from scratch. Whistler has plenty of stores to ensure you’re well stocked – just be sure to check that your accommodation has all the appliances, equipment and room to host! Christmas wouldn’t be Christmas without an abundance of lights. Wrap up warm and take a walk through this Canadian winter wonderland, lit up with some 280,000 to 350,000 light bulbs! The 5,000 strings of lights are put up by the Resort Municipality of Whistler (RMOW) festive lighting program, but you’ll also see a variety of decorations and lights installed by the local hotels and businesses. 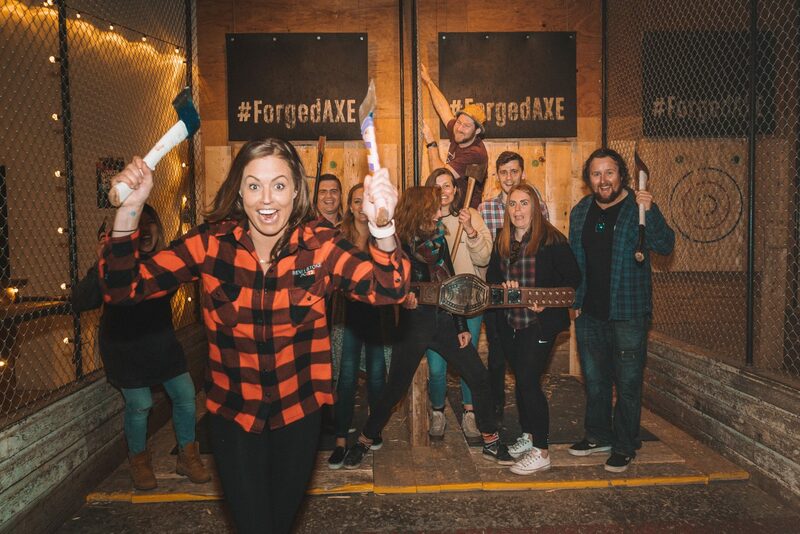 Forget the board games this Christmas and take your family and friends axe throwing instead at Forged Axe Throwing. This quintessentially Canadian pastime is sure to fire up competitive rivalries and put your aim to the test as you hurl axes at a target with the aim of sinking a bullseye. Don your very best plaid and expect plenty of fun and frivolity along the way. The team at Forged will keep track of the scores and be on hand to teach you some trick shots along the way. If you’re new to snowshoeing, joining one of the tours in Whistler is a great to learn just how much fun this popular sport is – and how easy it is to get started. Expert guides will not only teach you how to use those snowshoes in the varying snow conditions, but also lead you on a magical journey of discovery through the forest trails and stunning landscape. As snowshoeing can be enjoyed at any pace, it’s great for all ages and family groups. Ice skating at Olympic Plaza is a must for anyone spending Christmas in Whistler. The outdoor rink is safe and family-friendly, and you’ll be able to experience the holiday atmosphere as you glide across the ice. Once the skates are off, grab a hot chocolate to warm up. Every Sunday night, the best skiers and riders in Whistler put on a spectacular Fire & Ice Show, jumping and flipping through blazing rings of fire accompanied by fire spinners, a DJ and fireworks. Wrap up warm and prepare for an electrifying evening of entertainment! Whether picking up a last minute gift or looking to treat yourself, Whistler has plenty of places to shop on those dark winter nights. From toys to souvenirs, and from shoes to jewellery, there’s something for every taste and budget. New for 2018/19 is the addition of high-end retailer Jonathan+Olivia which opened its doors for business in August 2018. Check out the full list of Whistler shops right here. One of the best ways to explore the Canadian winter wonderland is on the back of a dog sled pulled by an exuberant team of Arctic snow dogs. Dog sledding in Whistler is hugely popular and you can even take the reins yourself and learn how to mush a team! You’ll reach speeds of up to 32 km/h (20 m.p.h.) so hold on tight and take it all in.